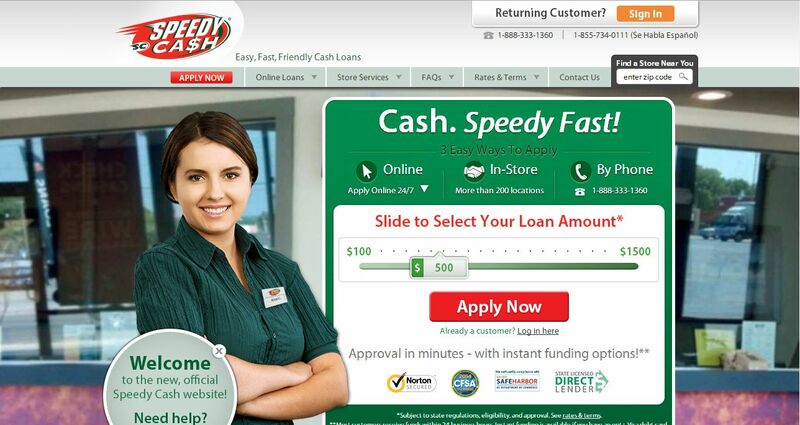 Speedy Cash address, phone, website, and more. What better way to describe the Speedy Cash experience? Whether you visit a store, apply for a loan online, or speak to one of our phone representatives we’ll make sure your loan application process is easy, you get your money fast, and you experience friendly customer service – every time.